I’ve been teaching some form of Organic Chemistry at the High School and College 101 level for 25 years now, and although that doesn’t make me any kind of expert on the subject matter, it does give my a pretty decent handle on some of the basic misconceptions that students who approach the beast for the first time, sometimes have. As always, it’s entirely possible that the teaching (or more specifically some of things that have come out of my mouth) have actually caused some of those misconceptions, so I certainly accept some responsibility, but I’m going still going to call them ‘misconceptions’, because that isn’t what I meant! In addition to the misconceptions, then there are the things that I learn (or maybe re-learn) each year. The misconceptions and my own learning, represent two entirely different categories of growth for me, but both are grounded FIRMLY in content and NOT in pedagogical philosophy or technology. At the beginning of this year, our opening discussions about nomenclature brought up a couple of interesting issues, one in each of the categories above. Firstly, let’s deal with my learning. I’m 100% up to speed on the ‘first point of difference’ (FPD) rule when it comes to choosing between the names of structures and keeping the lowest locants in mind, but a slightly more involved situation arose when one of the kids decided to build this molecule. Is the first ‘point of difference’ considered alphabetically (in which case the second name would ‘win’), or is it considered by ignoring the order of numbers that alphabetization creates, and rather one should extract the numbers from each name completely, arrange them in ascending numerical order, and THEN apply FPD. I was pretty sure that it was the latter, not least of all since ChemSketch generates the name that is consistent with that method, but what’s the Blue Book rule that allows me to state that with confidence and to sleep at night? When looking at Rule 2.2 I felt unsatisfied, but the somewhat impenetrable density of the Blue Book continued to thwart my attempts at feeling better. It wasn’t until I reached out to Dr. Ian Hunt at the University of Calgary that I felt better! He pointed me to Rule 0.2.4.2 from the 1993 recommendations, that (very simply) satisfied my curiosity. Thanks Ian. Secondly, a misconception that I had never seen a student make, before. It came to light when students were asked to name this; (C2H5)3COH. Ironically, I was trying to tease out an entirely DIFFERENT misconception by posing the question. Usually, the common mistake that students will make is to see the three ethyl groups, and want to call the compound triethylmethanol. Anyway, what I got was 1,1-diethylpropan-1-ol (or 1,1-diethyl-1-propanol). Below is the mail that I wrote to the students in order to attempt to correct this misconception. I think that I can see why you wanted to do that, but if I am wrong, please correct me. I feel sure that you know that we are working on principle of ‘finding the longest chain that incorporates the functional group that you have chosen’ (by ‘chosen’, we mean the highest priority FG). So, in this case you see an alcohol and want to call the compound -ol. Quite correct. I suspect that you then wanted to make the C that the -OH is attached to carbon #1, and then you looked for a longest chain counting away from there. However, because of the fact that alcohols do NOT have to put the –OH on the terminal (end) carbon, we CAN find a longer chain than 3 carbons and that longer chain still allows us to KEEP the –ol suffix. Hence, the correct name is 3-ethylpentan-3-ol (or 3-ethyl-3–pentanol). 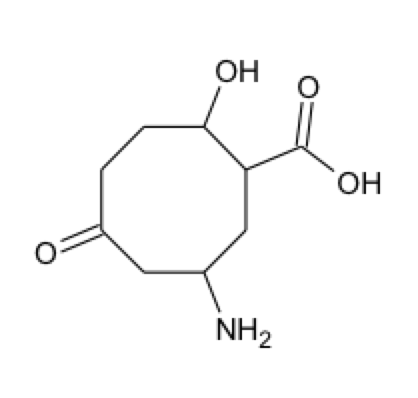 It may be that you are confusing this (and goodness knows that this is complex and many layered), with a molecule such as 2-ethylpentanal (the correct, IUPAC name for it). In THAT example, we do the same as above by recognizing it is an aldehyde (hence –al), but because we need to choose the longest chain that incorporates that chosen FG, and it the aldehyde FG HAS to be on a terminal (end) carbon, then we must count away from it to find the longest chain (5 C’s) in order to maintain the -al suffix. This is DESPITE the fact that there are actually 6 C’s in the longest chain, that we must ignore, BECAUSE that chain does not incorporate the chosen FG and that longer chain would NOT allow us to KEEP the –al suffix. The underlined statements in bold are the key, I feel. In short, for some functional groups (e.g., alcohols) incorporating the functional group into the longest chain does not necessarily mean that the FG is on carbon #1, as long as the correct suffix is maintained. Anyway, all good stuff and the learning, it doth continue amongst the students and the teacher! As a little pedagogical footnote I should add this; whilst I am absolutely committed to learning and growing ALL the time myself, I believe this is important purely because it makes me a better teacher, and in turn my increased knowledge and understanding ultimately benefits the students. My commitment to learning is NOT because I believe that students can only learn if I am modelling being a learner – I am NOT the ‘lead learner’, I’m the guy in the classroom with the most knowledge, understanding and experience, and in that regard you ought to listen to me! I believe that term ‘lead learner’ is utter nonsense.